Warren Christopher has dedicated his entire adult life to giving back. He served 24 years in the U.S. Army, was a high-ranking member of the U.S. Department of the Interior, a candidate for U.S. Congress, and a volunteer for numerous organizations, including Big Brothers Big Sisters of America. But for all the places his commitment to service has taken him, Warren’s most recent may be his most meaningful: For the last two years, he’s worked with students in the Washington D.C. area as a substitute teacher with Swing Education. 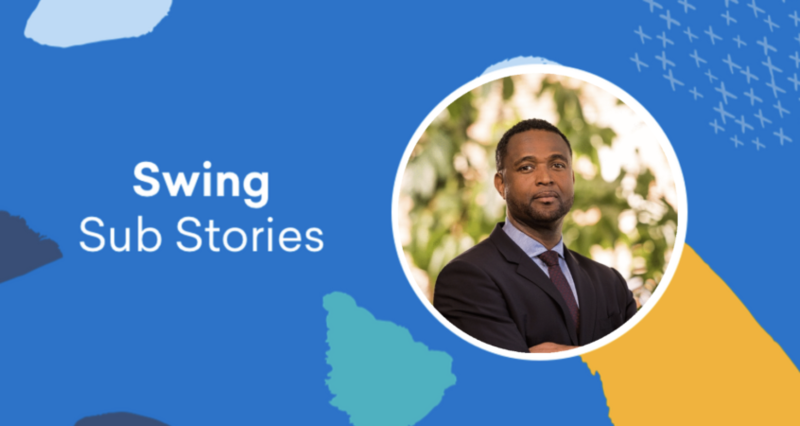 Warren Christopher’s desire to make a difference has been shaped by the challenges he’s had to overcome in his personal life — he was abandoned by his mother at birth and endured a difficult upbringing. Although he didn’t become a classroom teacher until 2017, in some ways, Warren got his start as an educator while he served in the military, where he held the position of Deputy Chief, Training Management Operations. After retiring from active duty, Warren worked in the Obama administration, and later ran a competitive campaign for Maryland’s 4th Congressional District. In 2016, after falling short in his run for the U.S. House of Representatives, Warren took time off to do some soul-searching and determine what he wanted to do next. He came back from the break with a clear mission. Although full-time teaching was off the table, Warren soon realized that substitute teaching would allow him to give back while maintaining the flexible schedule he needed to continue his MBA program. That’s when he discovered Swing Education, which connects substitute teachers with a number of schools across Washington D.C.
“After having raised two daughters and seeing how well they were educated and what a big difference that made in their upbringing, I knew that I wanted to give back to the community in a way that could be really impactful to everyday people,” Warren says. “And to be honest, with people classified as underserved or under-represented. Warren Christopher has created a number of lasting memories during his two years as a substitute teacher. 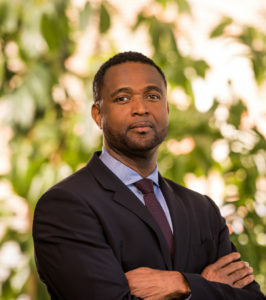 He believes his ability to connect so well with students stems from his experience raising two daughters as a single dad, as well as the skills he’s gathered over the course of a long and successful career. 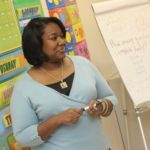 “I would just tell you that honestly there have been a lot of gratifying parts of being a substitute teacher,” Warren says. As Warren nears the conclusion of his MBA program, he’s still evaluating what path he’ll pursue next. 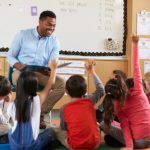 But whether he decides to continue in education, take a job in the corporate world, or anything in between, he will always look back fondly on the impact he’s been able to make as a substitute teacher. Swing Education matches high-quality substitute teachers with schools that need them. 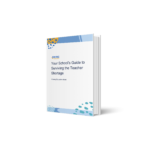 Contact us today to learn how we can help meet your substitute teacher needs.